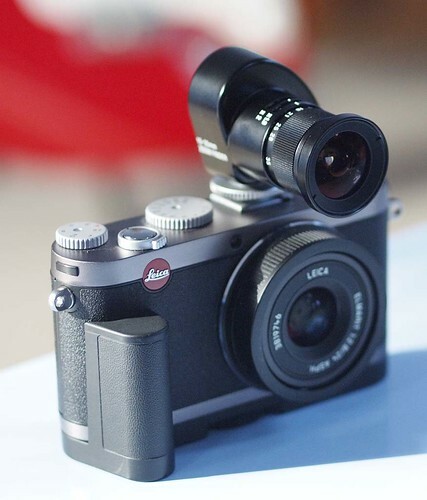 The somewhat flippant references to the Panasonic L10 yesterday may have given the impression that I regard it as somewhat of a throwaway camera, just to be used as a prop. This is far from the truth. Somewhat surprisingly, I have found myself liking the camera more and more. In the image above with the lens attached it looks a bit of a monster, but the whole outfit is only a few grams heavier than a Canon 7D body with no battery grip or lens fitted. The Travor grip for the L10 is a little strange. It doesn't use the cameras battery, but has its own which pushes up into the battery compartment, replacing the Panasonic battery. The rest of the grip is empty and consequently the whole thing is very light. This makes adding the grip only marginally heavier than the camera plus its own battery. However its very powerful and has improved the AF speed of the camera dramatically. This is now a very fast focusing camera. In addition the live view is very good. All this in a 3-year old model. I'm perfectly happy to use this as my DSLR for a while, since at the moment there is nothing on the horizon that I would need a higher performance camera for, and with the current economic situation in the UK it may remain like that for a while. Since I had the lens already the whole thing has cost me about £150 which shows what kinds of bargains are available if you shop around S/H. It really isn't great for low light. ISO 800 & 1600 are very noisy. Using the Olympus 50mm f2 helps but for indoor hand held work its going to need a flashgun. I rarely use one of these so I'll consider getting one if and when the need arises. This does mean that I will no longer be keeping any of my Canon gear. Some will possibly go to my colleague B, the rest is destined for ebay. Since my final wedding its all just sitting there unused, with no likelihood of ever being picked up again. I've decided to switch a few things around here. As a relative newcomer to Leica (18 months) I've been experimenting to a certain extent. Rangefinder photography is a different way of working and I've been trying out different les combinations to see what I like. Because of the dust spot problem I want to keep lens changing to a minimum. Much as I love the results from the Zeiss 50mm f2, Its really quite limiting using one lens, despite me trying to convince myself that it isn't! Now that I've found somewhere that can clean the sensor I'm going to go with a two lens system. I'm pretty impressed with the Voigtlander 75mm f1.8 and am going to add a Voigtlander 35mm f1.4. I had a Voigtlander 40mm f1.4, which was my first m-mount lens. I used it originally on m4/3, but when I got my M8 it didn't match up with any framelines, so I was guessing the framing with it, and consequently sold it, even though it was a very sharp lens. 35mm is just about my favourite focal length and the Voigtlander is a light and fast lens. I'll be putting the rest of my m-mount lenses onto ebay. Some like the Leica 90mm f2.5 I've hardly used at all, which is a shame because its a lovely lens, but Leica's seem to lend themselves to the mid-range. The Zeiss 21mm and 50mm lenses are also destined for new homes. Again I shall be sorry to see them go but I really have too many lenses sitting around hardly being used and unfortunately both of these fit into that catergory. I shall of course be keeping the X1, particularly in the light of my low light noise tests. However since I have bought the Voigtlander zoom finder I shall be selling the X1 finder and the case I never use. 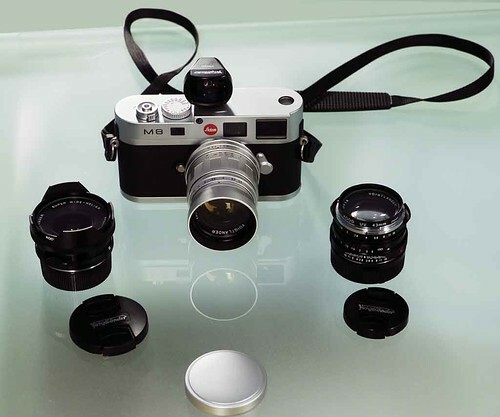 Firstly I must thank the 43rumors site for the link to the review I did of the Voigtlander 75mm. Its much appreciated. This is a site I spend a lot a time on personally, getting all hot and bothered about the upcoming delights of 4/3 and m4/3, and it was nice of them to point out my posts on their site. There's also a good hands-on with a Panasonic GH2 at http://blog.uniquephoto.com/wp/2010/10/31/hands-on-with-the-new-panasonic-lumix-gh2/ I'm very envious as they have a silver-grey one!! Its an excellent read and has some great pictures of a female boxer. Its again a very positive review, much like the Luminous Landscape one. 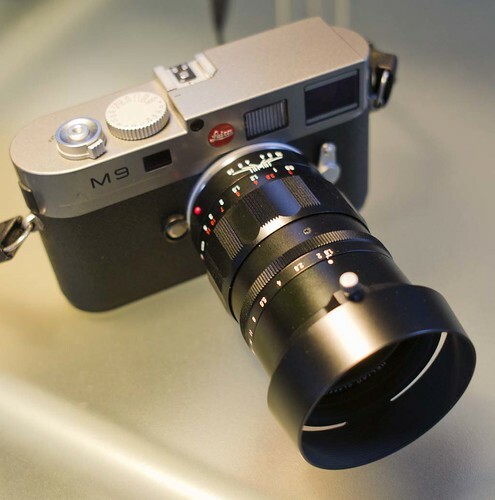 I very much see m4/3 as the cornerstone of my future equipment use. As you will know if you've read any of this blog over the past year or so, I'm a very strong advocate for the system and it is by far my most used gear. I love the size, weight and ergonomics of the system, and in the case of my Olympus E-P2 the aesthetics and design. At that time my idea of using m4/3 for all my work may have been premature and more influenced by my desire to stop using using big heavy DSLR systems. However now I very much see this as a possibility. The wedding photography requirements obviously had a big influence on my decision to continue with my Canon DSLR system. Its not really fair to use a families big day to experiment and prove a point to myself. While both B and I used m4/3 cameras almost exclusively for video, we used m4/3 very much as backup cameras for stills. We were very pleased with the results however. 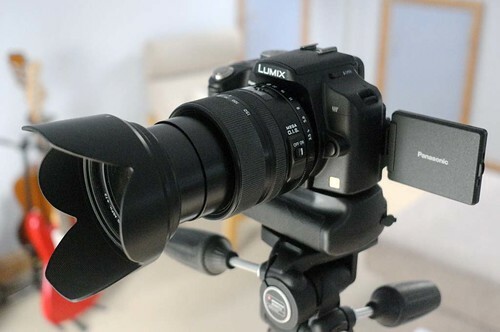 If the reports, reviews and experiences of people using the Panasonic GH2 are to believed then this is the camera that seems poised to push m4/3 into a different area. 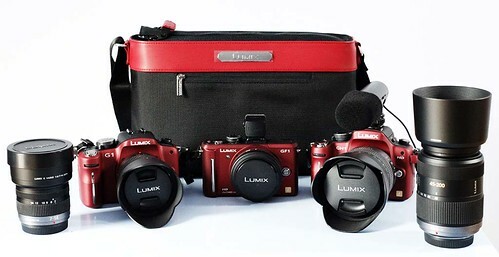 I've already seen one wedding photographer state that he's going to ditch his DSLR's and work with three GH2's. The one concern is obviously durability. I've had no problems with any of my m4/3 cameras but I do know that they exist. I am personally very careful and protective with my cameras. But its not gone unnoticed thats there's a lot of plastic involved. To be honest I'm more concerned about the lenses rather than the cameras. Using 4/3 lenses, as I do, takes a certain amount of the concerns away, as these are a good deal more robust & I'm going to be looking to get a few more of these. In terms of my immediate plans, I shall be concentrating on my stock / library work. Its the financial backbone of how I make my living, and despite my fears as to what impact the economic situation will have on my picture sales, there is no sign of any slowing down as yet. If commissioned work does turn up, then all well and good, but I'm not currently actively seeking it. In terms of what I do m4/3 suits me very well, both for handling and for image quality. 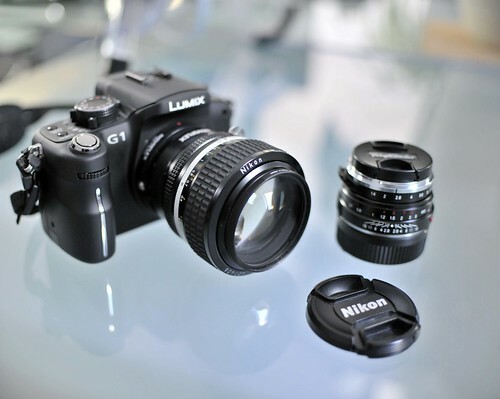 My plan here is to use the GH2, when I can finally get my hands on one, as my main camera and the E-P2 as an alternative. I was planning to sell my GH1 when the GH2 arrives but the price of new GH1's has dropped dramatically recently. Currently £399 or less in UK stores. This makes a S/H price of about £275-300 max. and considering I've dropped mine and "scuffed it up" I'd be looking at something less than that. I think its time to bite the bullet and do the video hack. Since it seems Panasonic have put a stop to their firmware being hackable (Though never underestimate the ingenuity of of the hackers!) my GH1 may be the only opportunity for me to try that. Having seen some of the results it is something I'd like to do. Video is not one of my great priorities, and as someone who still hasn't made much of an attempt to learn FInal Cut Pro after having it for 6 months, not something I have much expertise in editing, but it would be nice to have a dedicated video camera. My intention is to use the GH2 very much for stills, so it would make sense to have something separate, and I'd rather use it like that than sell it for around £200. On the lens front I'll be using my two 4/3 lenses, the Leica 14-150mm zoom and Olympus 50mm f2 macro together with my Olympus 9-18mm zoom (which I like more and more) and Panasonic 20mm f1.7. Whether I keep my Olympus 14-42mm kit zoom remains to be seen. It looks great on the camera, but I don't use it much. I'm thinking about an Olympus 11-22mm 4/3 lens as a possibility but haven't decided as yet. I do also have the Voigtlander 25mm f0.95 on order as mu ultimate low light lens. So thats it. More chopping and changing but more focused on what I want to use rather than what I think I should use. Now wheres that container ship with all those GH2's? ?